The Larut Matang and Selama District Health Office has assured that the boy who was bitten by a dog Thursday will receive a complete dose of rabies vaccination, with the fourth dose scheduled for Feb 21. 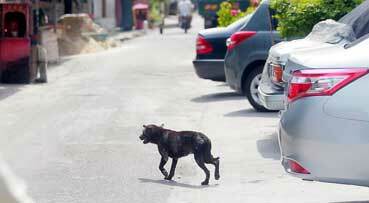 Dr Ding said the dog which bit the victim had been put to sleep by its owner, who is also the victim's neighbour. "Samples from the dog's carcass were taken by the Department of Veterinary Services for testing purposes," she said in a statement today. On Jan 14, the sub-districts of Taiping and Bukit Gantang in the Larut Matang and Selama district were declared rabies-infected after a complaint from a dog owner in Taman Sri Kota Fasa 2, Taiping, that two members of his family were bitten by their pet on Dec 31.